Meet top competitors, learn how to enter a ring, practice your introduction to judges, perform your routine (and get help if needed), get awards and recognition and photos with top competitors. 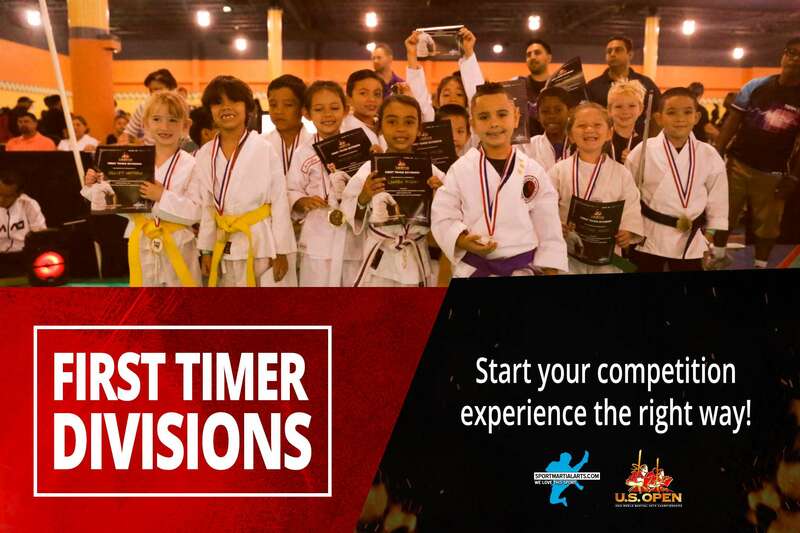 The First Timer divisions are amazing and great for anyone just starting out or who needs a little extra confidence for competition. Divisions are run first thing Saturday morning by the crew from SportMartialArts.com, Century Martial Arts and Team Paul Mitchell and start ON TIME!